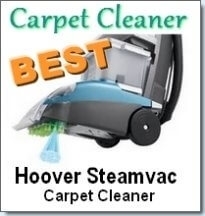 Professional steam cleaner reviews vs. the home steam cleaner. 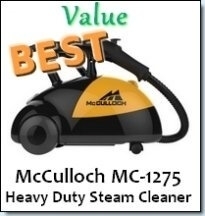 Why investing in a professional steam cleaners is a better bang for you buck in the long run. There are many types of steam cleaners available such as the mini steam cleaner, home, commercial, professional and industrial steam cleaners. In this article we will be covering the “professional” category which can be a bit ambiguous. A professional steamer is one that performs to a commercial standard but can also be used at home. These steamers were meant for heavy home use and light commercial use, such as in an office. It is not meant for use in highly commercial or industrial applications. If you’re particularly serious about dirt and religiously clean your house every day, then you might want to consider in getting a professional level steam cleaner. The home level steamer, probably doesn’t cut it for you and certainly does not live up to your high cleaning standards. One thing to keep in mind though, professional performance means paying a professional price. The typical home steam cleaner can cost anywhere between $40 and $300, whereas professional steamers usually begin from $300+. Some of the key differences between a home steam cleaner and a professional cleaner include professional steamers are usually manufactured out of more durable materials. They also have stainless steel tanks and have pressure gauges. Some have a continuous fill option which can allow you to clean for hours. Most home steam cleaners only allow you to clean for between 15 minutes to an hour. As you can tell by now, you get what you pay for. 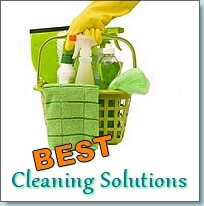 Most professional steam cleaners also emit dry steam which is better for killing microorganisms and bacteria. They are also better to use when cleaning furniture, carpets of draperies because dry steam has a very low water content. 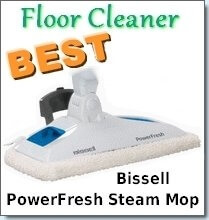 The low water content ensures that the object you are steam cleaning does not get wet. If it does get wet, it dries in a matter of minutes. This is particularly useful because you certainly don’t want a wet carpet or sofa! The moisture can attract mold and other bacteria, so a professional steam cleaner is the best option when it comes to professional cleaning results. This steam cleaning machine is capable of creating steam at temperatures in excess of 152ºC. This machine also includes a powerful vacuum which suctions all the dirt and mess remaining. Unlike other steamers where you have to manually wipe messes, this is simply not an issue with the TR7. It has a VAP filtration system, stainless steel boiler, safety valve, continuous water fill and also purifies the air while it cleans. Another pro steam cleaner that you can consider is the Tobi Pro steam cleaner. This is a professional level fabric steam cleaner and is great to use to clean your upholstery, drapery, car interior and even clothes. It is very safe to use on wide array of fabrics, much safer than irons. With this steamer you don’t have to worry about scorching or melting delicate fabrics. Simply follow the manufacturer’s instructions and your fabric will be in excellent hands.